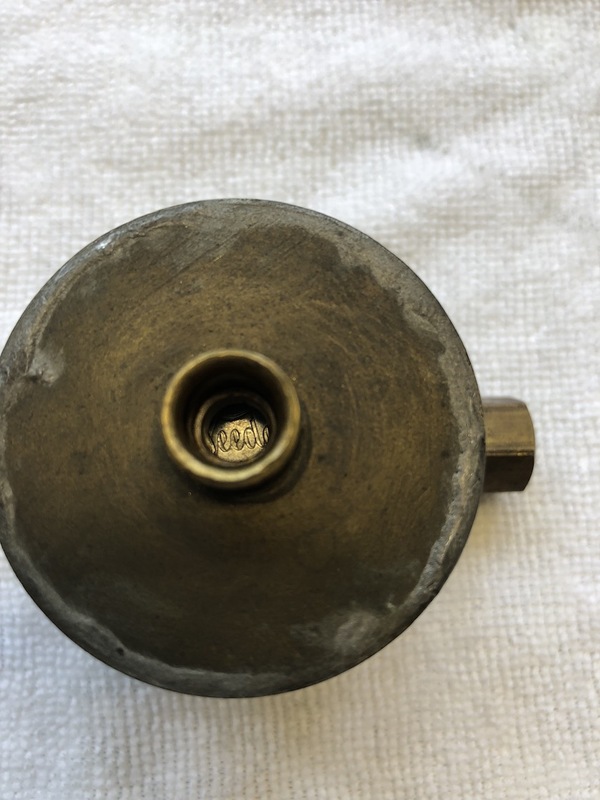 Model T Ford Forum: Can you identify this part? 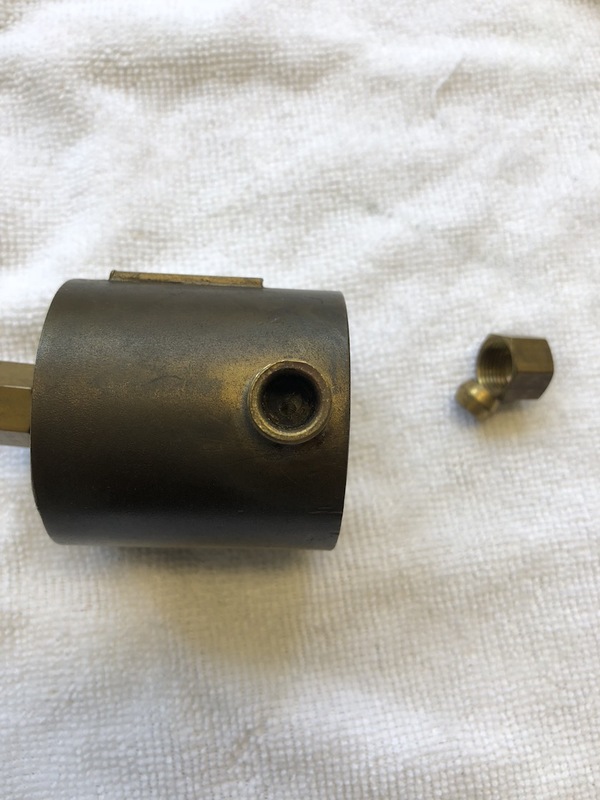 Model T Ford Forum: Forum 2018: Can you identify this part? I am wondering if you can help me identify this vintage Veeder part? This part was found with my Father’s Model T Ford parts. Inside is stamped Veeder OCT.22.1896. The first two letters are hard to read through the small hole, so they may not be correct.I am assuming the Oct.22.1896 is the patent date. The numbers show 004053 on the meter. 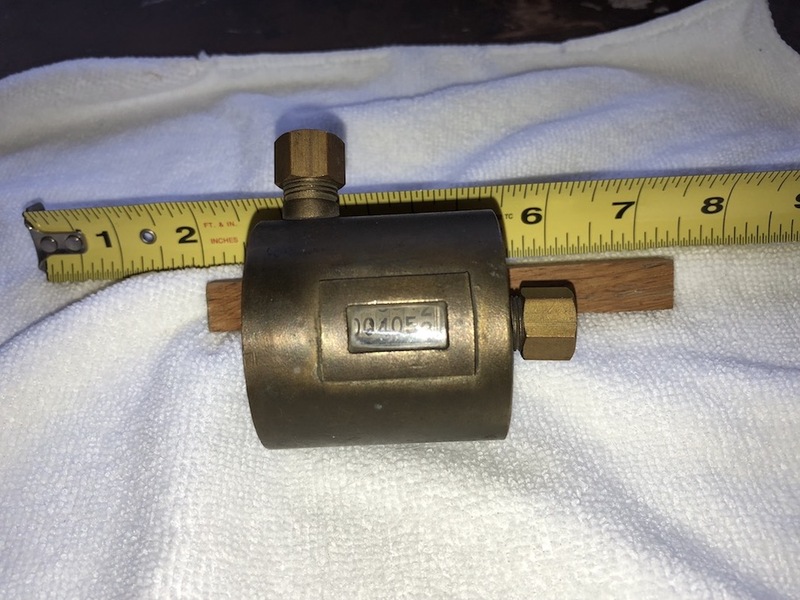 I am fairly familiar with Model T Ford parts and have never seen anything like this on a Model T.
Dave, I remember passing tractor trailers on the highway and seeing the name Veeder on the hub odometers. I Googled Veeder and Oct 22 1896 and it shows Veeder Oct 22 1895 patent issued for bicycle speedometer that looks very similar but has different fittings on the housing. The input hole is only about 1/16" and the output hole is 1/4". It does not smell. I would think with gravity flow a 1/16" hole would not let enough fuel through unless it was pressurized.I thought maybe it was an odometer, but it has an out line, plus it is a compression fitting. I sent several pictures to the Veeder-Root Company yesterday and today, they could not identify the part.